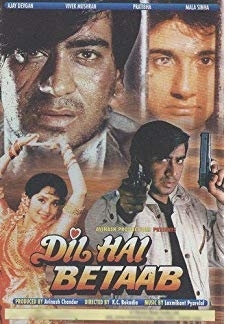 © 2018 Scratchu.com Dil Hai Betaab | Vivek Mushran, Ajay Devgn, Pratibha Sinha, Mohnish Bahl, Kader Khan, Anjana Mumtaz, Alok Nath, Rakesh Bedi, Reema Lagoo, Ashok Saraf, Sudhir - Dil Hai Betaab (1993) | Malayalam Movie | 4.7/10 | Synopsis : Meena is an attractive young lady who lives with her middle-classed parents in a city in India. Her father is Parshuram who works as a chaprasi (peon) with an organization run by the ... ... Watch Online!! !